CREAM: THOSE WERE THE DAYS: DISC 2: 1997: 5 STARS OUT OF 5 STARS: The second disc from the Cream box set- Those Were The Days- deals mostly with their third and fourth albums- Wheels On Fire and Goodbye. Strong but of course not as great as disc 1- which had the first two albums. Still good stuff of course. What a great band, its a shame they couldn’t exist longer than a few years. 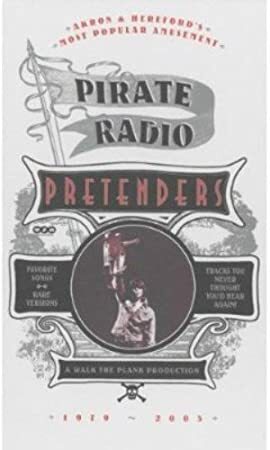 THE PRETENDERS: PIRATE RADIO: DISC 1: 2006: 5 STARS OUT OF 5 STARS: I love The Pretenders. The first of the four disc box set deals with the their first two albums. Great stuff. It is too bad that in nearly 40 years they have only released ten studio albums. THE BEATLES: HELP! : 1965: 5 STARS OUT OF 5 STARS: I have been listening to a Beatles album a day- and am up to the soundtrack to their second movie ‘Help!”-Classics on this one- the title track, “You’ve Got To Hide Your Love Away.” “Ticket To Ride” and one of the most famous Beatles songs Paul’s “Yesterday.’ A number of non-hits on here that are almost equally as strong of course. All the songs written by The Beatles.